Millions of individuals have tattoos. 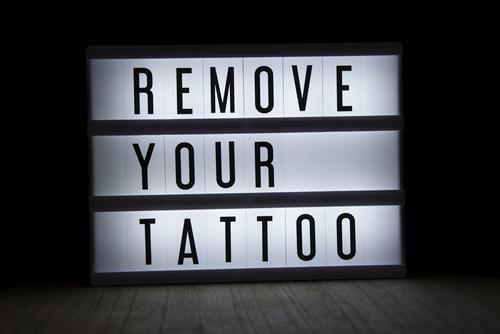 Unfortunately, over time, many of those individuals come to regret their decision to get a tattoo and want to have the tattoo removed. In fact, laser tattoo removal is one of the most common aesthetic procedures performed. If you are one of these individuals and are searching for laser tattoo removal Ocean County, there are a number of things that you should know in order to understand the process and be able to select the best center for your treatment. Tattoos were made to be permanent. Therefore, while removal of a tattoo is possible, it is not easy. It requires very specialized equipment, it takes time and it requires a series of treatments. 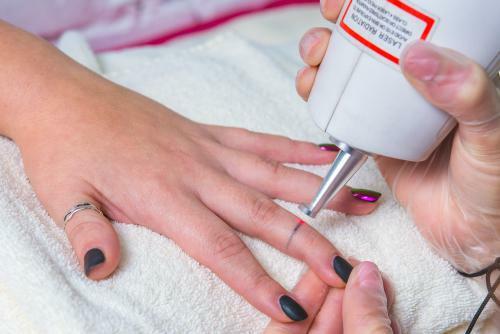 The only effective way to remove a tattoo is with laser. Home remedies do not work and often can cause permanent scarring. Not all lasers for tattoo removal are the same. The technology has greatly advanced in recent year. The newest picosecond lasers are often more effective than older laser in removing tattoos. Laser works with the body’s own immune system to lighten and remove tattoos. The laser energy is absorbed by the tattoo ink, which breaks up the ink so that the immune system can then remove it. With each treatment, the ink breaks up further and further. Therefore, a series of treatments is needed to reach the final result. Lasers are not all equally effective in breaking up the ink. Depending on the color(s) in a tattoo, different wavelengths of energy may be needed. Light colors tend to be more difficult to remove tan dark ink. However, many colors can be effectively treated with the proper type of lase. The newest laser technology, picosecond lasers, deliver the energy in a much faster pulse than with older lasers. They are usually more effective in reaching the desired result than the older lasers are. At Shore Vascular and Vein Center we utilize picosecond lasers for laser tattoo removal Ocean County. When you are seeking laser tattoo removal it is important to understand that you will be starting a treatment process. You will need multiple treatment. The fewer the treatments needed, the faster that you will obtain your desired result. So you should choose a provider who will use the most effective laser for your tattoo. You should also understand that all tattoos and skin types are different. Therefore, it can never be guaranteed what the final endpoint will be. Very often, with the correct laser, tattoos can be removed completely. However, even with the best treatment, there still may be some ink that remains after treatment. If you are looking for laser tattoo removal Ocean County you should investigate what type of laser is available in your selected center to treat your tattoo. A pico laser will usually be most effective. If you have various colored ink in your tattoo, multiple different wavelengths of energy will be needed to effectively remove it. You should also investigate who will be performing your treatment and how much experience your provider has. In some centers, a physician will perform your treatment. In others, it may be someone with less training and credentials. At Shore Vascular & Vein Center / Aesthetic Laser Center, we use the Enlighten 3 picosecond laser for tattoo removal. This laser uses 3 distinct wavelengths of energy to effectively remove tattoos of all colors. All procedures are performed by Dr. Jeffrey Gosin, a double Board Certified Surgeon with extensive experience with laser procedures. If you have a tattoo that you now regret, treatment is available for you. Shore Vascular & Vein Center and Aesthetic Laser Center has been serving individuals in Atlantic Count, Cape May County, Cumberland County, Ocean County and the surrounding areas in southern New Jersey for more than 20 years. Call (609) 927-VEIN (8346) to schedule a consultation or visit us on the web at www.EndTattooRegret.com.